Rally Driving is an incredible Adrenaline Rush! If you've got the urge to get sideways in the dirt then rally driving is the answer. 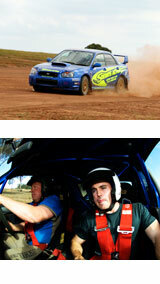 The No.1 Rally Driving Experience in Brisbane. What a rush! This is an awesome introduction to the adrenaline-fuelled world of rally driving in real competition vehicles. 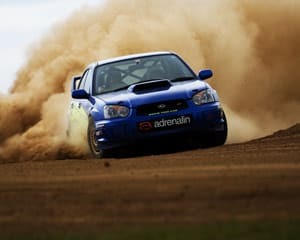 Take your choice of rally car from a fleet of Australian Rally Championship spec super cars, including the Subaru WRX STi and the Mitsubishi Lancer Evo 8. You'll do 16 amazing laps behind the controls of two different cars over the rally driving dirt circuit layout. 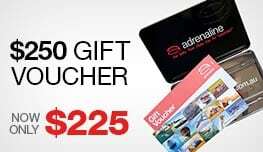 With a rally driving professional instructor beside you you’ll be taught mind-blowing techniques which, in addition to getting the most out of these high-performance rally driving vehicles on the day, will also make your everyday driving safer and more enjoyable. Finally, to top off the rally driving course, you’ll be strapped into the co-driver's seat and taken for a humbling rally hot lap blast by one of our professional rally drivers, and these guys don't hold back! 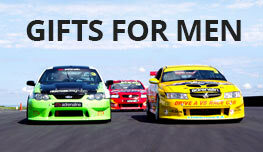 Cars used vary but include the Subaru WRX STi, the Mitsubishi Lancer Evo, Toyota 86 and Subaru BRZ. Depending on the day, sessions generally start at 8.30am, 12.30pm and 2.30pm. Spectators are welcome to come along. In the unlikely event that any car is damaged, and it is not safe or possible to continue, every reasonable effort will be made to provide a back up vehicle. The back up vehicle will be another rally car and may be two-wheel drive. Great day, great staff, great experience. Had an absolute awesome time! This is not something I would buy myself however I thoroughly enjoyed the day and would recommend this experience to anyone. Team were fantastic and it was a great day all round! Great gift for my partner. Any number of laps is not enough so we'll go for more next time. Great hot lap for guests at the end. Watch out for magpies! My husband loved his Father's Day present. The guys at Rally School Brisbane/Willowbank we amazing and very easy going. The experience was awesome for him and I even enjoyed my "hot lap" my husband surprised me with on the day lol. The team at Rally School were awesome and their passion for what they do, translates extremely well into our experience on the day!!! So fricken awesome! This was a gift for my son's 40th. He had a wonderful time. Everything was well organised, on time. Professional drivers were friendly, very helpful and encouraging. Spectators made very welcome. Children had a sit in the rally car. Great day had by all.